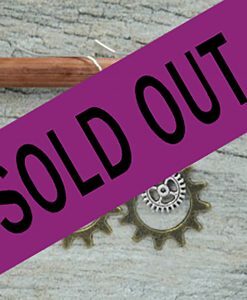 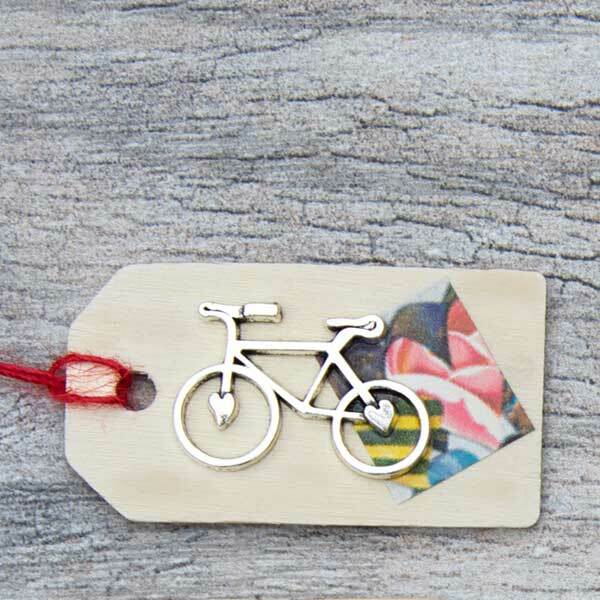 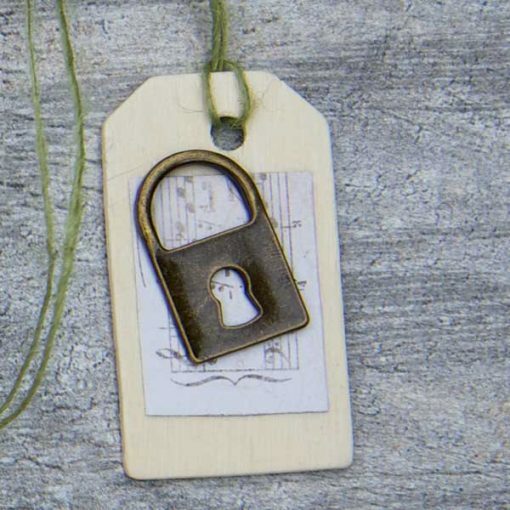 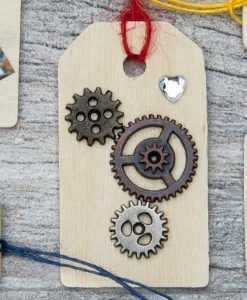 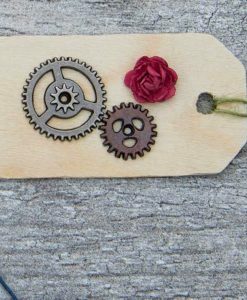 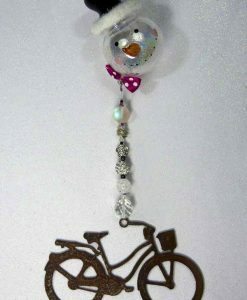 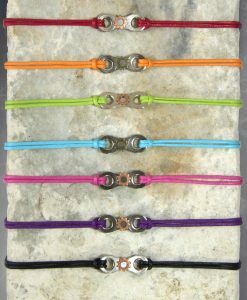 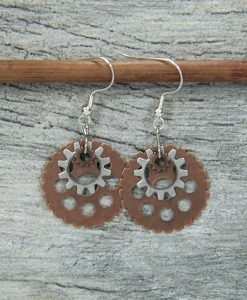 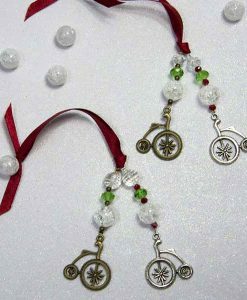 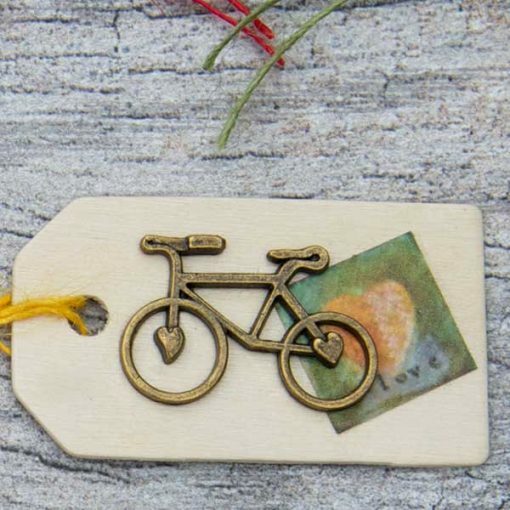 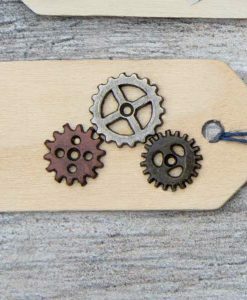 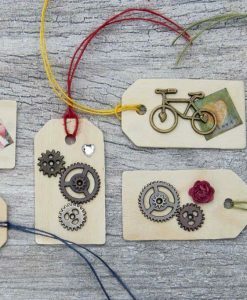 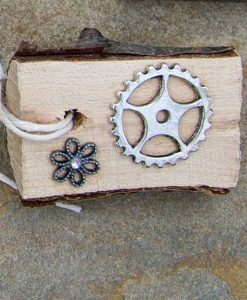 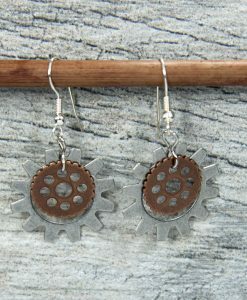 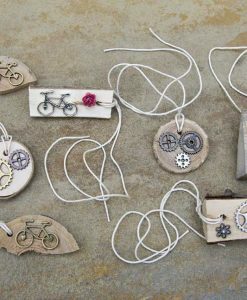 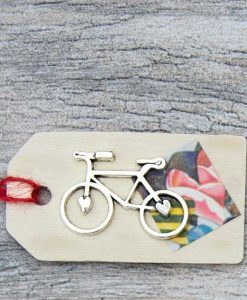 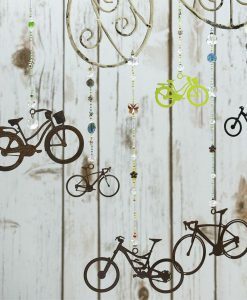 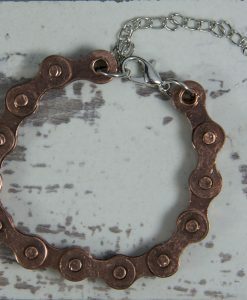 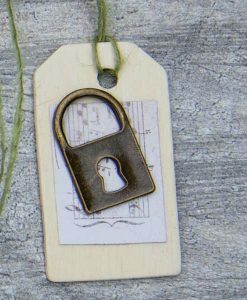 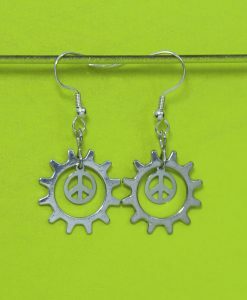 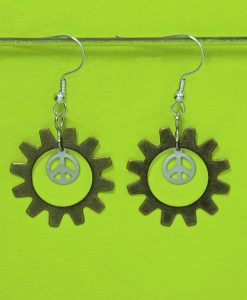 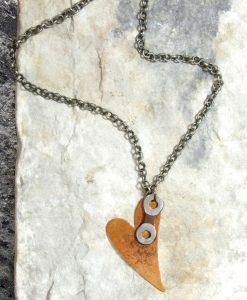 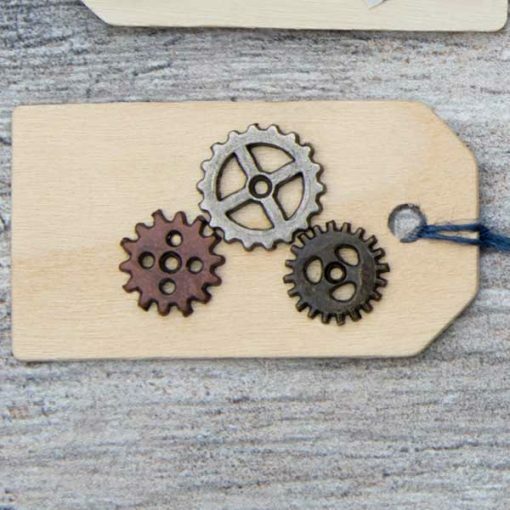 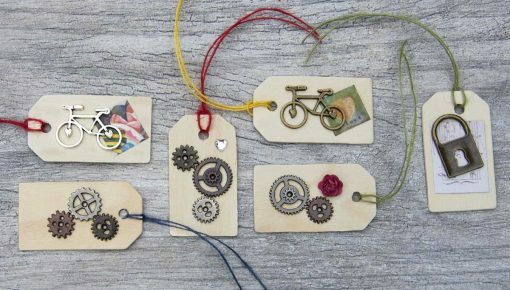 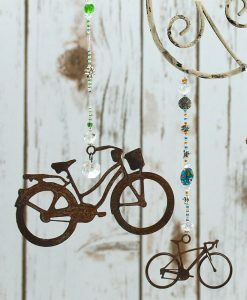 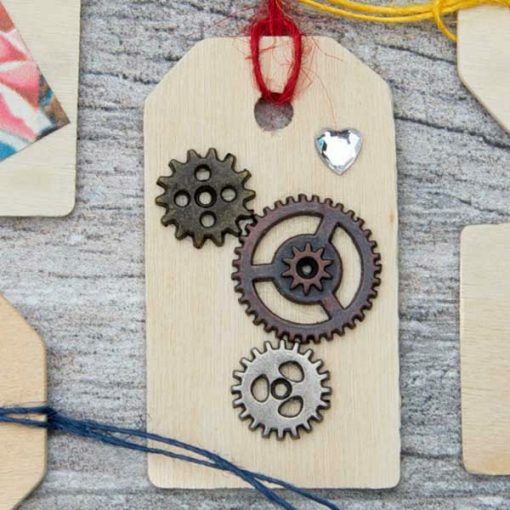 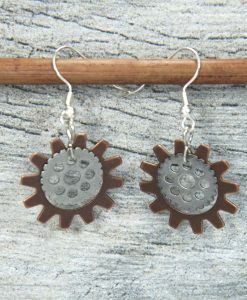 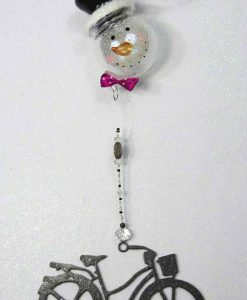 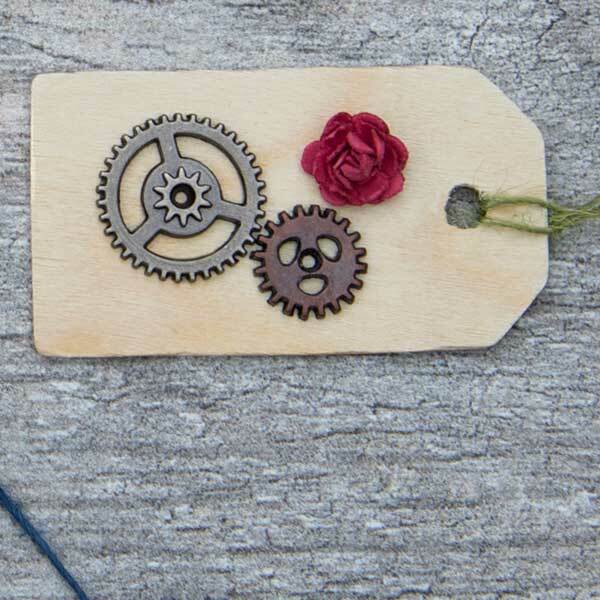 Metal bikes, gears and locks on unfinished wood with natural cord give inspiration and a special personal spin to your gifts. 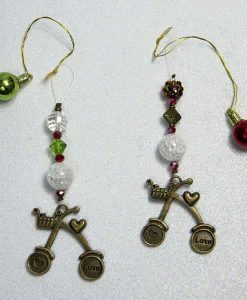 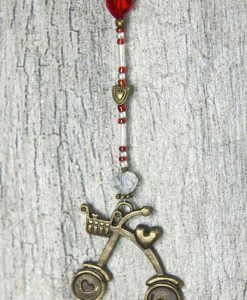 Use them as ornaments or hang anywhere to remind you of the season that never ends. Write your own personal message on reverse side. 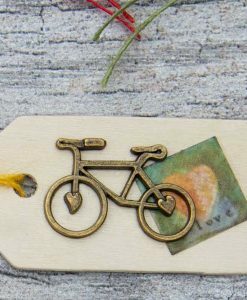 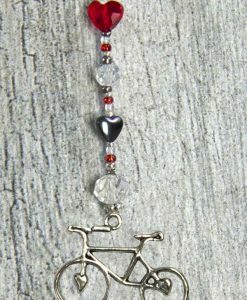 (recommend ball point pen) Get inspired – show your bike love.